One of the breakout performers nationally of this past spring and summer is talented and versatile 2020 forward Jamari Sibley of Nicolet HS (WI). Currently holding multiple Division 1 offers after a stellar spring and summer, Sibley is firmly positioned as a top 50-75 national prospect big picture wise with his best basketball in front of him. A wiry athletic 6-7 200 plus pound forward, Sibley is a blend of athleticism, versatility, and skill that is a dual threat in that he has the ability to take over games on both the offensive and defensive end of the floor. Offensively he’s a mix bag of finishing skills as he can score with either hand, he has the ability to soar over opposing defenders in transition and half court sets, he can finish around the basket and through contact, and his ability to score with either hand athletically around the basket creatively is unmatched nationally. In a face up capacity Sibley can finish with ease around the basket but his big step this past spring and summer came with a highly efficient perimeter stroke that at times took over games from beyond the arc. In dominant fashion he helped his travel team capture the session 3 EYBL tournament championship with a scintillating performance in a win over the CP3 All-Stars and he did much of the same in the AAU Gold Super Showcase 17U semi-finals and championship in late July where his stellar offensive play helped power his 16U travel team to the coveted 17U title. Defensively Sibley is elite and versatile as well as he has instincts, length, and bounce that he uses to alter and contest shots. On the ball he’s shown an ability to guard any of the five positions on the floor in dominant fashion. Not just a one tool talent, Sibley’s defensive versatility and dominance at times brings to mind soft comparisons to former UNLV standout Stacey Augmon. The multi-dimensional talent’s exploits on the hardwood this spring caught the attention of schools from coast to coast. Hitting April with only a couple offers in hand Sibley heads into the high school season holding offers from Kansas State, Arizona State, USC, Iowa, DePaul, Georgetown, Rutgers, UNLV, UW-Milwaukee, UW-Green Bay, Minnesota, Marquette, Illinois, Georgia Tech, Temple, LSU, Wake Forest, Iowa State, and Texas A&M. 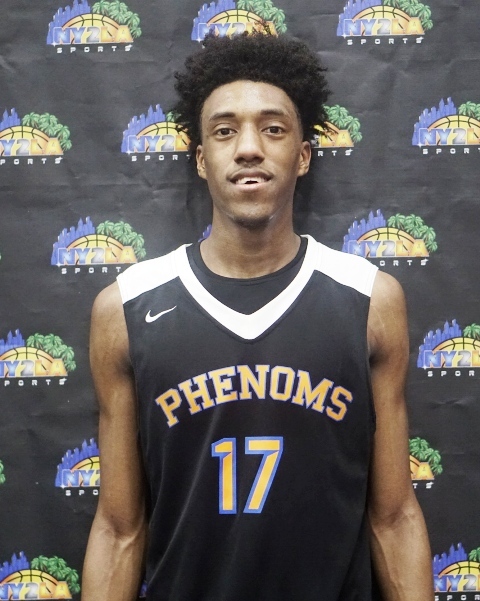 One of the fast rising forwards in the country, Sibley is on track to see a lot of schools on his recruiting trail over the next 12-14 months as he’s firmly established himself as a high major talent whose best basketball lies ahead. Sibley plays with the Phenom University program during the grassroots travel season.